Meiwita P. Budiharsana is a Senior Lecturer in the Department of Biostatistics and Population, Faculty of Public Health, University of Indonesia. For more than 30 years, she has been teaching population, gender, and women’s health courses at the Faculty of Public Health, which was the first research institution in Indonesia. In addition, she has 15 years of work experience at two global NGOs: the Population Council and the Ford Foundation. 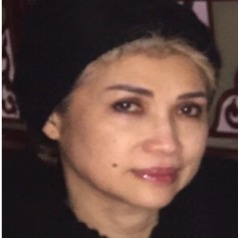 Her education includes a Medical Degree from the Faculty of Medicine, Catholic University of Atma Jaya, Indonesia (MD 1980), a Master of Public Administration from the University of Southern California (MPA 1983), and a doctorate in Public Health from the University of California at Los Angeles (PhD 1993). For more than two decades, she has designed and implemented national and international reproductive health programs, with particular attention to the evaluation of research projects (evidence-based medicine). In the last ten years, her teaching activities have focused on the application of population and health indicators. More specifically, emphases include women’s health, newborn health, gender inequity, and health system strengthening. Between 1993 and 1996, as Director of Center for Health Research, University of Indonesia, she implemented population-based surveys on maternal health and family planning. These lines of research continued when she became Country Director of the Population Council in Indonesia (1996-1999), then Program Officer and eventually Country Representative for Ford Foundation Indonesia (1999-2009). In these roles, she collaborated often with USAID Jakarta, several United Nations agencies (UNFPA, UNDP, UNAIDS), large universities, and midwifery teachers. She also extended her network from women’s NGOs in Indonesia to the Philippines, Malaysia, Australia, Africa, South America, and the United States. Next she brought her methodological expertise to Hanoi, where she served as Country Director of the Population Council in Viet Nam (2009-2011). She improved the efficiency of operations and the quality of research by working with academics at Thai Nguyen University and the Institute of Population, Health, and Development (PHAD), a Hanoi-based independent research institution. Throughout her career, Dr. Budiharsana has enjoyed working with a multidisciplinary team of people from diverse cultures and a wide range of expertise. In recent years, she has engaged in short-term consulting projects with USAID and other global NGOs. Her management knowledge spans both public health and public administration, with abundant experience in planning, organizing, problem-solving, and designing coordination strategies.